Contribute Now! Only Two Weeks Left. So, we’re heading into the last two weeks of our Fire Fundraising Campaign on IndieGoGo and we’re pretty far from our goal. We still have lots of equipment to replace and an upcoming release on the horizon so we still need all the help we can get. In an effort to encourage more folks to contribute we are offering a couple great incentives. First one is for our fans and supporters in the great city of New Orleans. 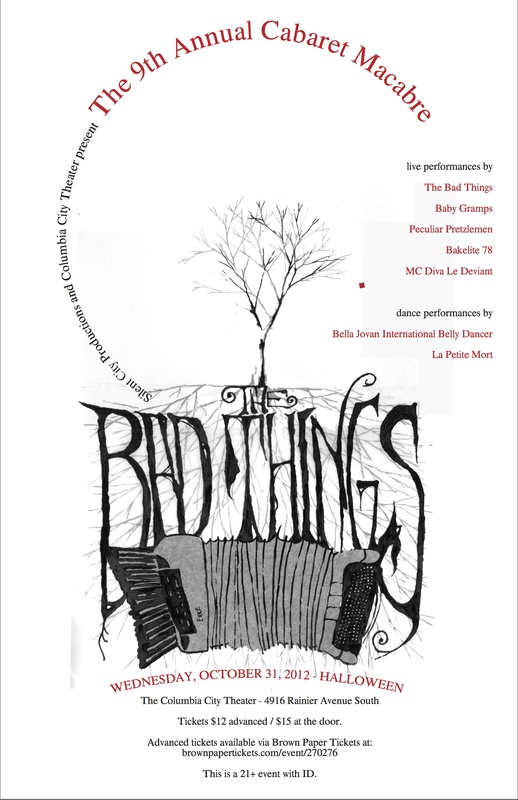 Our friends in Freaksheaux to Geaux, a musical, vaudevillian, circus, magic, burlesque show have offered to help out by offering guest list spots to any NOLA-based or NOLA bound Bad Things fan who contributes to the IndieGoGo campaign. All you have to do is e-mail freaksheaux@gmail.com after you contribute and they’ll add you to the list of the show of your choice. Their upcoming show on Friday, October 26th will feature Bad Things co-conspirator La Petite Mort and dear friend Eliza Rickman. Here’s their list of other Coming Attractions and below is a little taste of their incredible show. For all you Seattle based fans, we are offering seriously discounted tickets to our Halloween show, the 9th Annual Cabaret Macabre for all IndieGoGo contributors. How that will work is, once you contribute to the campaign, we will send you a discount code that you will enter on the ticket page to reveal the secret discounted price. This is only available until September 26th, when the campaign ends so get yours today. You can pick up tickets right over here. And, to everyone that’s contributed so far, we love you and can’t express our appreciation enough.